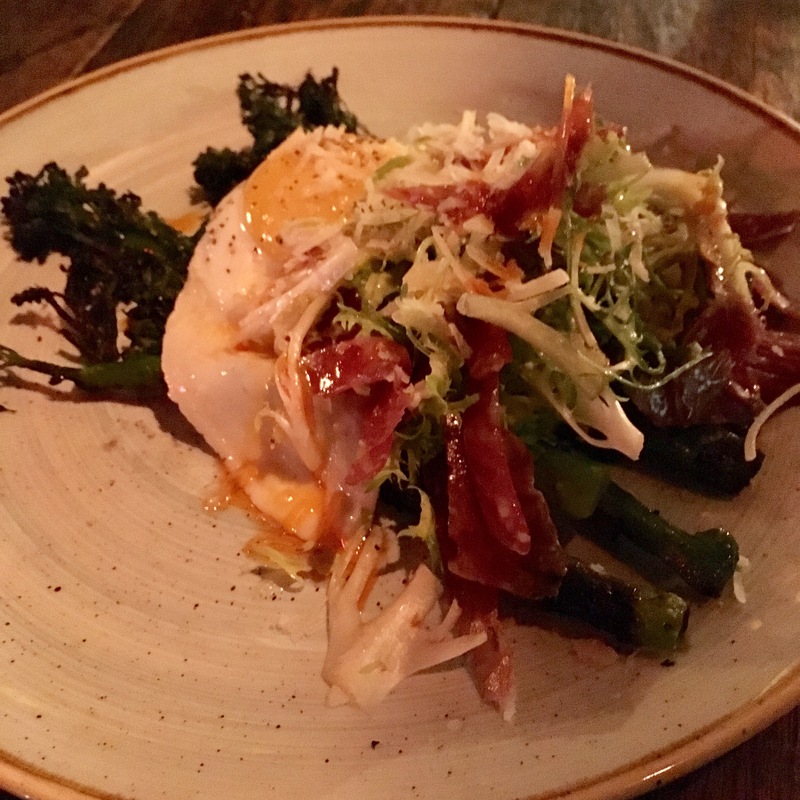 This is another cool place I discovered while in San Diego, located on West Beech street this restaurant as a pretty cool decor and offer generous portions. When you walk in they have a nice bar area and dining up front. As you are moving from room to room the decor changes a little bit. I ended up in the back section. 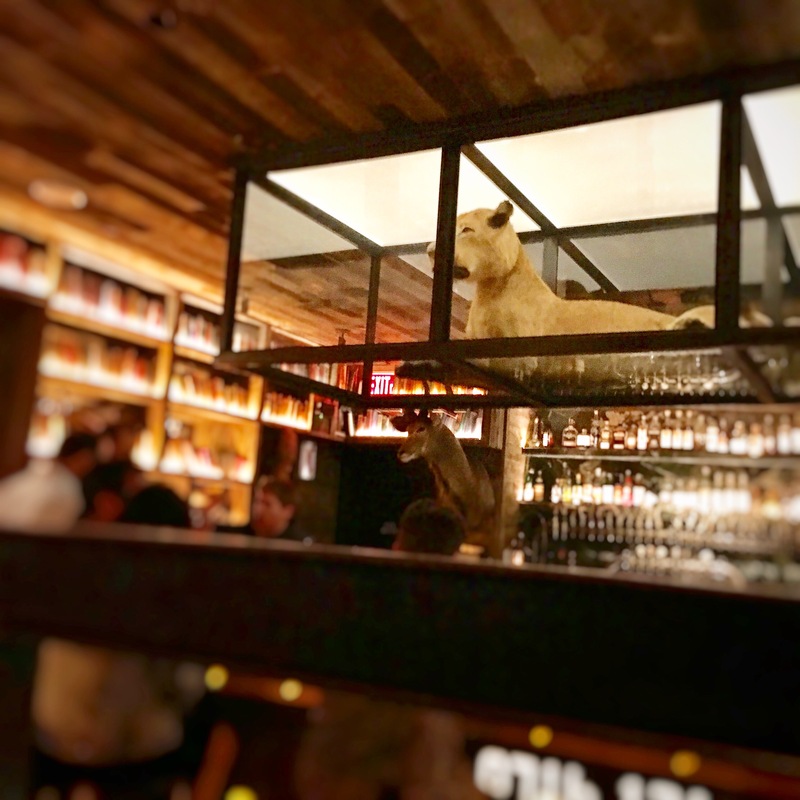 The walls had bookshelf like an old study and the bar in that area had a stuff lion in a glass case over the bar that was different from what you normally see. As for food, the menu offers a good variety. I started with some charred broccolini served with a sunny side up egg on top, shaved salumi, lemon vinaigrette and parmesan. I like the charred taste and the different ingredients mixed well to get the appropriate taste. 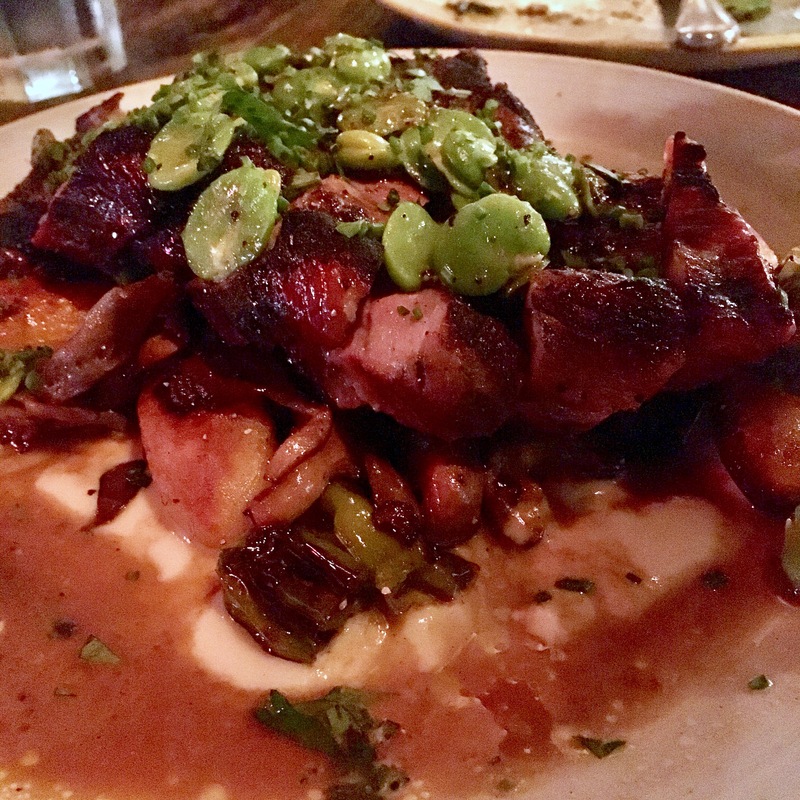 I followed with a Duroc Pork Flat Iron. This was a very tasty pork au jus served with shishito and mushroom hash, leek puree and fava beans. If you’re very hungry this is the perfect dish to take as I honestly think it could have comfortably fed two people. They also had a lot of other smaller dishes on the menu, if I would have been accompanied I would have probably shared that dish and order a couple of smaller ones. Pretty cool place to go, they can also accommodate groups and they have an outdoor patio terrasse.